Bringing Joy to families all over the world one paw at a time for over a decade. Our excellence is unmatched within our breeds in the industry. We welcome all to join our one-of-a-kind program. This is our 2019 Easter promotion. Clients can take 30% off their Elite or Premium package program purchases. This promotion comes with a free EBH shirt and hat as well. Enter Code: EGG19 on your application. Does not apply to other fees. The Basset Fauve de Bretagne is a short-legged wiry coat dog similar to the PBGV. It is often considered the more stubborn of all the Basset breeds. The Basset Hound will teach you, unconditional love. This breed will love to cuddle with you on a raining day. The PBGV will teach you what it means to be happy. It is no wonder their nickname is the "Happy Breed" of the dog world. The Basset Bleu de Gascogne is considered a rare breed in the US. It is considered the best behaved out of all the Basset breeds. If you're looking for a Basset puppy our kennel is the best choice. We offer 24/7 email support, 10-year Full health/genetics warranty, free spay/neuter, and much more that makes our kennel the best Basset kennel in the United States. We guarantee all puppies to be healthy and socialized when they arrive at your home. We put animal welfare above everything else. Our kennel has designed a unique buying experience for getting a dog. We do not sell puppies but instead sell a spot on our Hound Crate program that gives clients a free puppy as well as many other free products. As a client on our program's breed list, our clients can expect a seamless experience that we hope to make the way all kennels do business. Our Pharaoh Hounds are properly exercised, genetically tested, vaccinated, socialized and well bred. Come join the change of the breeding industry standard. Review information and complete application. Get approved and ask questions. Sign the contract and get on the waiting list. Here come the puppies. Puppies are born. Time to pick out your forever pet then waiting begins. Puppy gets ready to go to your home. This is the final stage. If you feel ready to proceed with getting a puppy through our puppy program, please complete our application to get started. We are the only kennel that offers such a variety of "Basset" breeds many of which most people have never heard about. Take a moment and review information on each breed to see which one is right for your home. PBGVs are extroverted, friendly, and independent hounds. Sometimes called the “happy breed,” PBGVs have tirelessly wagging tails and expressive, intelligent eyes. An excellent hunting breed. Often mislabeled as a blue tick and basset hound hybrid. This couldn’t be farther from the truth. Descendant of the Grand Bleu de Gascogne. The Miniature Basset Hound is an excellent breed for hunting and family pet. They love to always be around humans and full of energy. 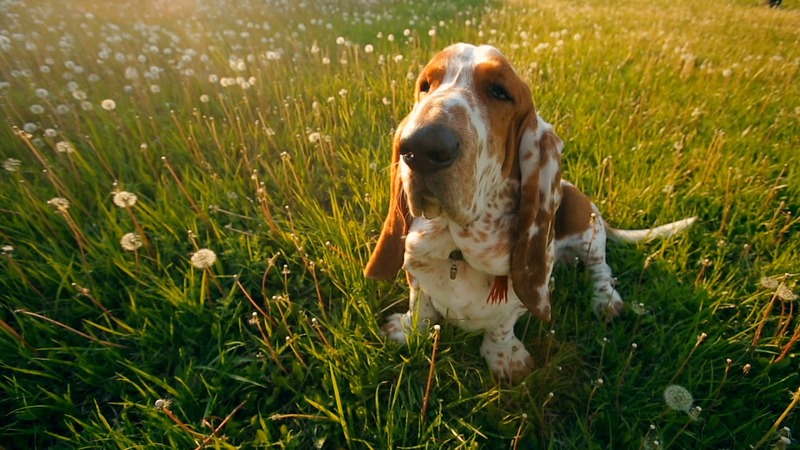 The Basset Hound not only is a fantastic scent hound but makes a fantastic family pet. Great for new dog owners. Johnson Elite Kennels, LLC © 2019 All rights reserved.